Skye Gravestones | Neil & Mary (Maclellan) MacInnes. Neil & Mary (Maclellan) MacInnes. 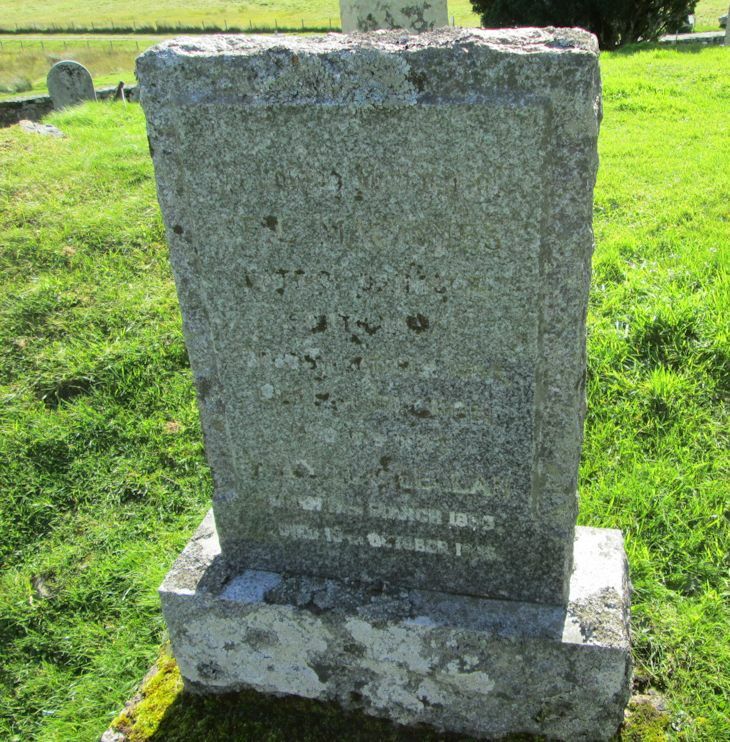 In loving memory of/NEIL MacINNES/late of Drimore, South Uist/born 5th October 1864/died 14th July 1936/and his wife/MARY MacLELLAN/born 17th March 1886/died 13th October 1955.